We are pleased to announce HHL’s successful reaccreditation by AACSB. The Board of Directors of AACSB International (Association to Advance Collegiate Schools of Business) confirmed the recommendation to reaccredit HHL issued by the team of international experts. This makes us the first private German business school to obtain the seal of approval for the fourth time. In 2004, HHL was the first private German business school to undergo this review by international standards. For more information please take a look at our current accreditations and rankings. The review, which takes place every five years, focuses on the innovative power, the effects of the latest research findings on practice as well as the academic and professional commitment of the faculty. The AACSB accreditation assesses the advancement of the entire business school, the continuous development of all of its study programs and the students’ learning progress. The international team of AACSB scientists led by Kai Peters, Pro-Vice-Chancellor of Business & Law of Coventry University, had the opportunity to learn about HHL’s strategic reorientation on location during their three-day visit in September 2018. As a part of that visit, the experts were also introduced to SpinLab – The HHL Accelerator. 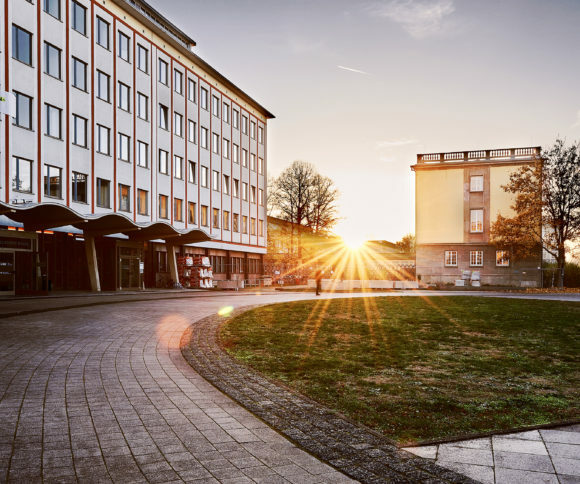 In addition to HHL, only ten other business schools in Germany meet the international AACSB standards of highest quality in management education.